To realize this wedding, Kaleydo worked in tandem with wedding planner Costanza Giaconi of Bianco Bouquet. The client was guided in the planning of this event, in order to guarantee maximum attention and care in every detail. From logistics to timing, from floral arrangements to lighting, from the menu to shows, everything had to be executed impeccably to amaze and stun the guests. 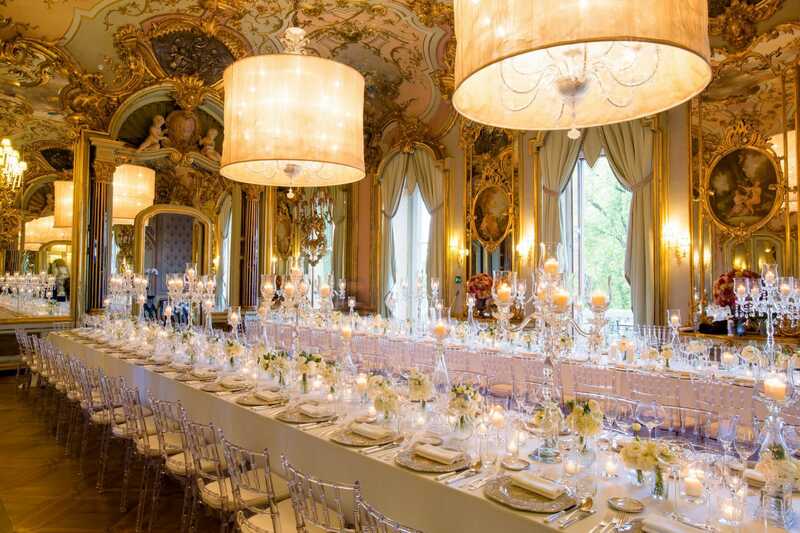 Kaleydo provided its services to carry out a series of moments, which characterized the wedding reception, organized in the magnificent spaces of Villa Cora. At the end of cocktail hour, for an entrance with a bang, the newlyweds chose to be accompanied down the regal staircase by two tango dancers, as the notes of their song echoed in the background. While the wedding couple greeted and entertained their guests, the dancers reached the wooden stage, set up for their performance. To liven up the dinner, our folk trio played music, which then developed into an actual show during breaks, with the participation of opera singers. Guests took part in the entertainment by dancing, applauding and sharing these special moments on their socials. 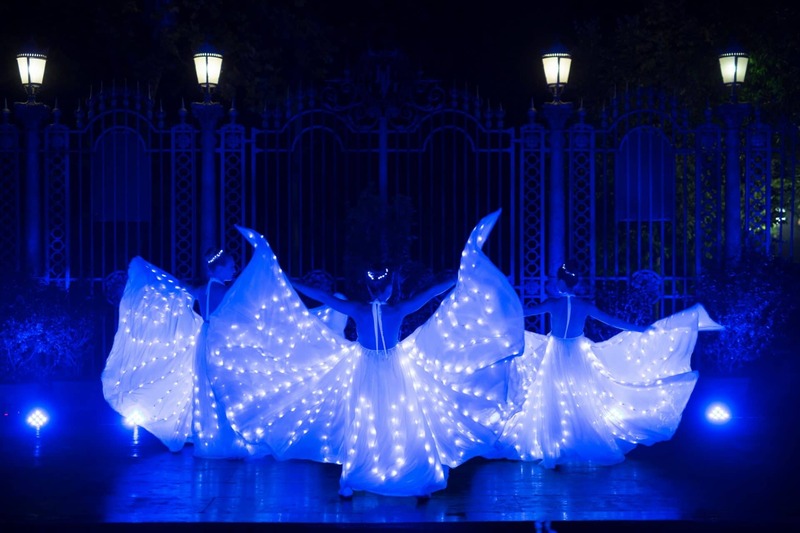 Before guests hit the dance floor, the cutting of the cake took place, with three ballerinas dressed in elegant white dresses and veils covered in led lights, who gave life to a stunning butterfly dance show. A sensorial experience, consisting of lighting effects, music and dancing, which contributed in making this magical and scenographic night even more exciting.